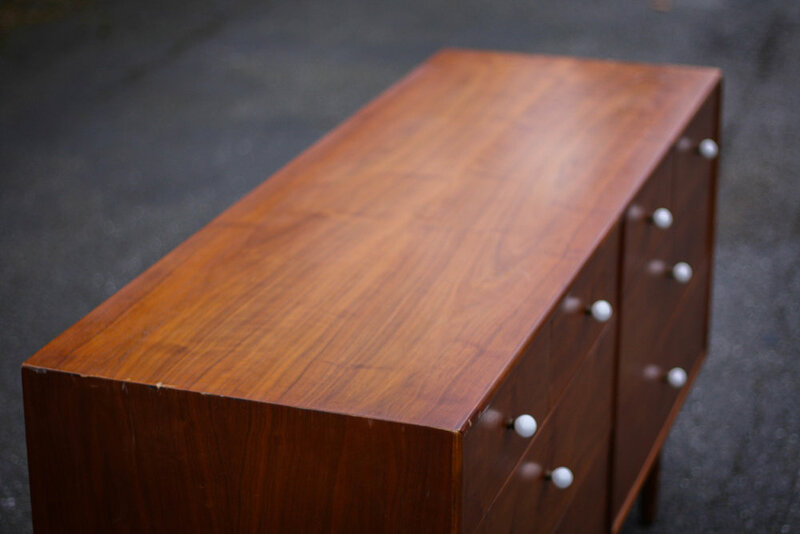 Vintage walnut dresser by Kipp Stewart and Stewart McDougall for declaration by Drexel furniture. 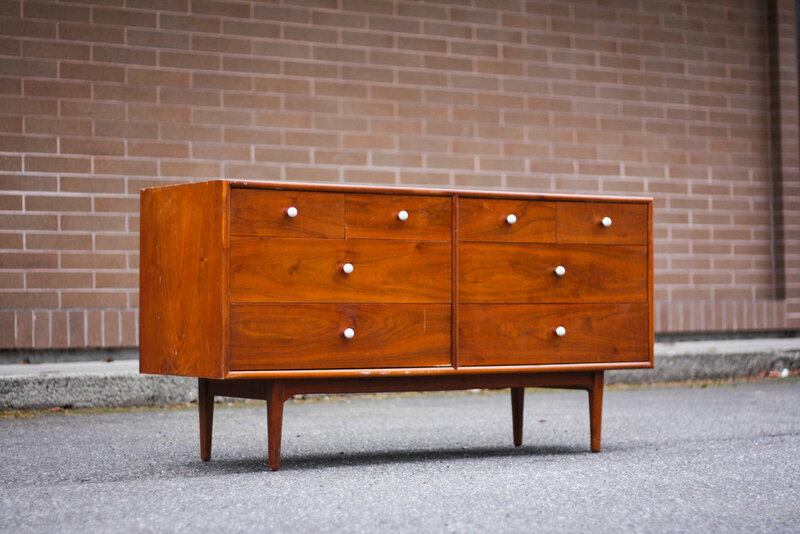 Exceptional quality dresser is constructed from walnut. 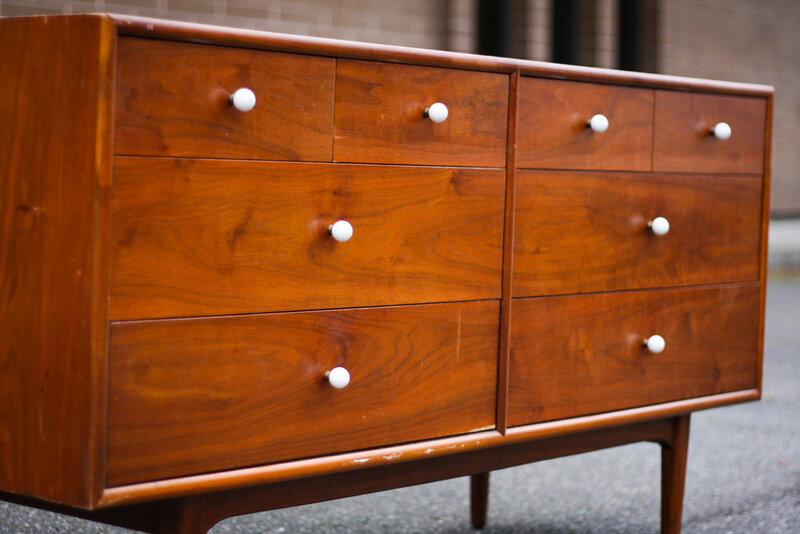 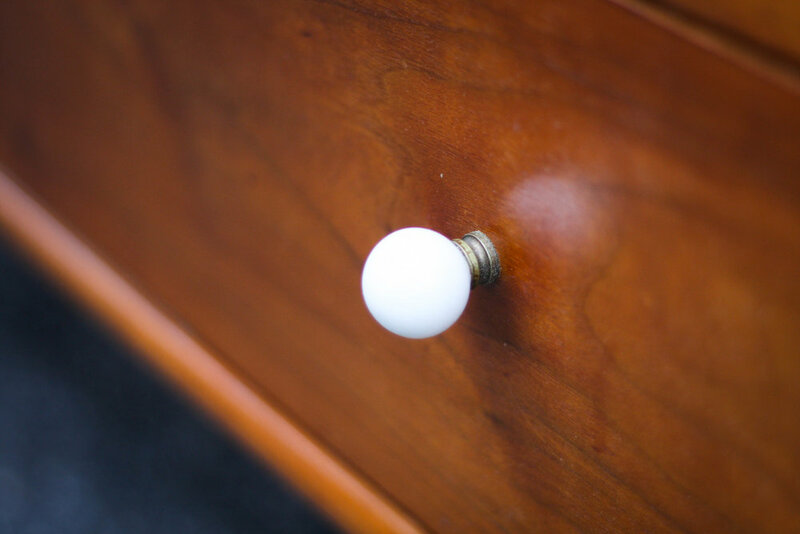 Contains six dovetail drawers with original porcelain pulls.